It’s coming to that part of the season where the big tournaments are at their finales. This makes it a nice time to discuss the idea of tournament preparation. Go to any range, anywhere in the World and you will see the same thing – hordes of golfers working on their swings. After all, isn’t that all we can work on? 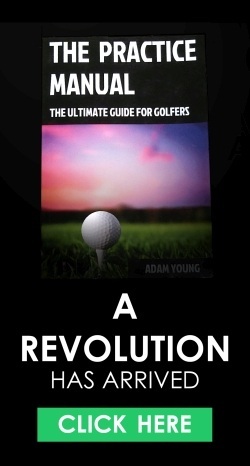 I think (know) that golfers forget that the golf swing is just a tool – it’s a tool to help you play the game. 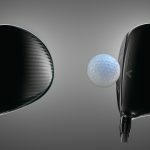 But “playing the game” is a skill in itself that is separate from the actual swing – and this article will explore that (and offer solutions). Apart from certain exceptional circumstances, pre-tournament prep is not the time for major swing overhauls. Sure, tweaks, tune-ups, polishing – all good stuff. But if you are going to pull out a brand new movement pattern right before the big day – good luck to you. 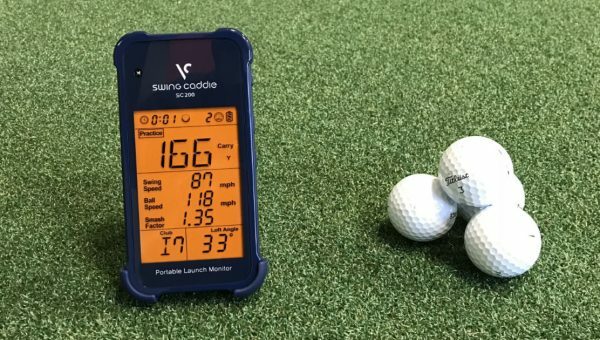 Motor learning takes time – even if the new movement is better on the range, there is not enough time to put in the reps to make it automatic enough, comfortable enough, repeatable enough to be of use to you. Don’t train for a race in the Audi R8 (left) and then jump into an F1 car a week before. Even if the car is an upgrade, you won’t be used to the intricacies of how it handles. Similarly, changing your swing before an event is a gamble that you shouldn’t be willing to take. Golf has so many skills which determine how well you play/score – the list would be huge if I mentioned them all. Rather, I am going to mention a few which I feel are important during tournament prep. But before we go, I can tell you this – beating thousands of balls on the range tends not to improve any of these skills. This is why “simulation training” is vital. In the above example, the player aimed for the middle of the fairway. They hit the fairway 50% of the time, but end up on the beach 40% of the time (costing them 2 shots each time). Sure, this player could try to overhaul their swing to straighten out that pattern. 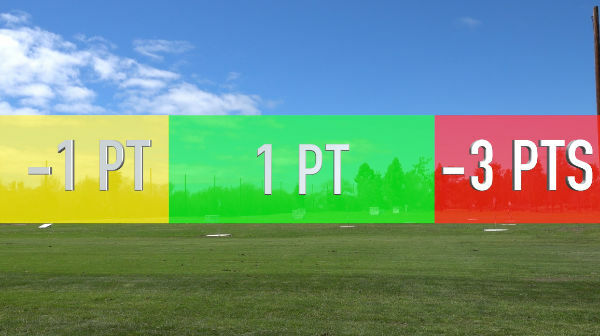 However, if the same player were to aim at the left side of the fairway, they now increase their fairways hit by 20% AND they would hit 40% less hazard-shots. This is an example of a strategic intervention – one that all good players use. No, it’s not “wrong” to use strategy to mitigate the patterns in your shots (notice I didn’t say “errors”). It’s a perfect example of how we “play” the game, versus playing golf swing (where someone tries to change the swing to make the patterns more neutral). 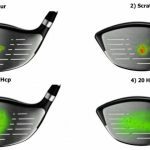 In fact, players who try to change their swings to neutralize the patterns usually end up opening up both sides of the golf course. In an attempt to do it the perceived “correct way”, you end up playing worse than if you had used strategy interventions. 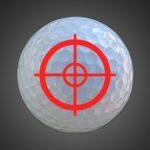 Sure, neutralizing the pattern might be a valuable long-term approach (although you could argue it is no better than just using an alternative aim-point), but we are pre-tournament here – it’s not time to be faffing around with our mechanics. As always, there are certain exceptions. Allowing for a 50 yard curve-ball is probably not easily done by strategy alone – but I see way too many amateurs tinkering with their swings when a simple adjustment would suffice. If you stand on the range at a tour event, you would be in absolute awe – every shot is flighted beautifully towards the target by every single guy on the range. There would be no way of picking the winner based on their striking – they all hit it pretty much the same. However, on the course, it’s a different story. 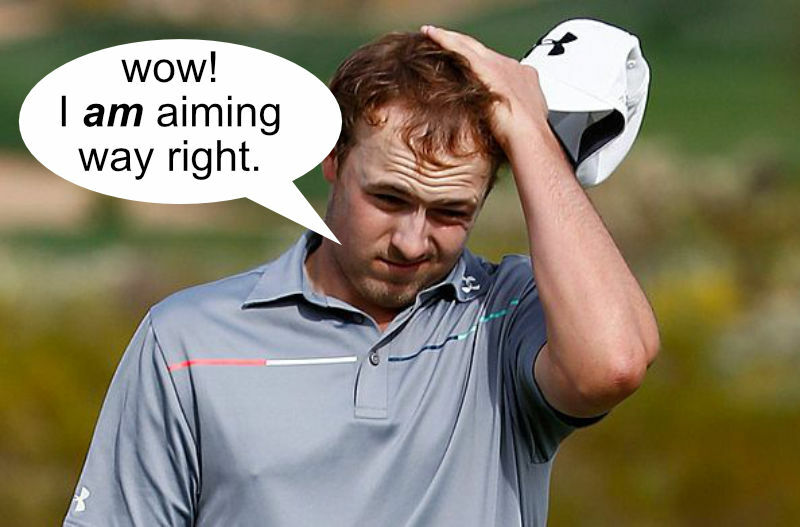 Yes, the pros suffer the same “I can do it on the range, but not on the course” issue that amateur have. 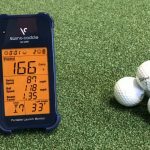 This is because standing on the range beating balls one after another is a facade – it shows high levels of performance, but not necessarily high levels of learning or transference to the course. Motor-access is basically our ability to tap into our best shots more often, when it counts. 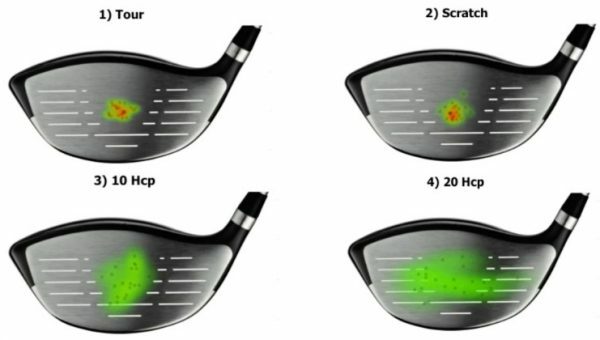 Think of it like this – your best swing is basically a movement pattern coded into the neurons of your brain. You don’t need to change/improve that code to hit your best shots, you just need to access that code/fire those neurons better. This topic could make a whole book in itself, but for now, it’s just something to be aware of – I will offer solutions at the end of this article. Jim lays his club on the ground, lined up with his feet and then walks back to check his alignment. Alignment is not just a physical process, it’s a mental and perceptual one too. 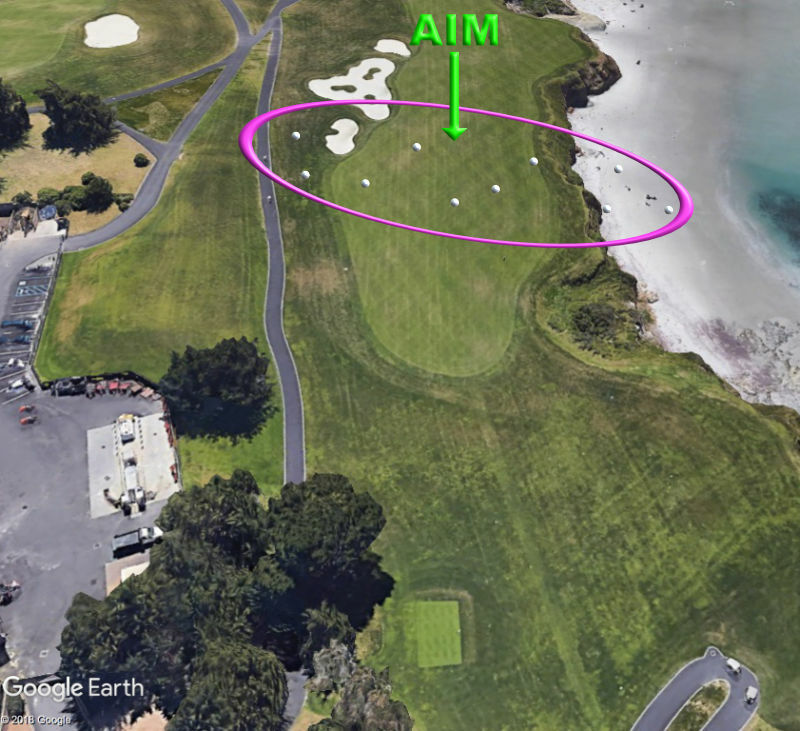 And the mental component influences our movement patterns – if Jim were to aim at his target now, he would probably feel like he is aimed way to the left. This would then cause Jim to change his swing on an unconscious level. I’m sure you have all experienced this to some extent. This is why we call it “perception-action coupling” in motor-learning – our perception of the environment (and more) influences our movement (actions). Unfortunately, the way most people practice doesn’t improve this area. Many times, we disconnect from our target mentally, especially when working on our golf swings. As a result, our brain is not making the necessary neuronal links between the target and movement patterns we are making. 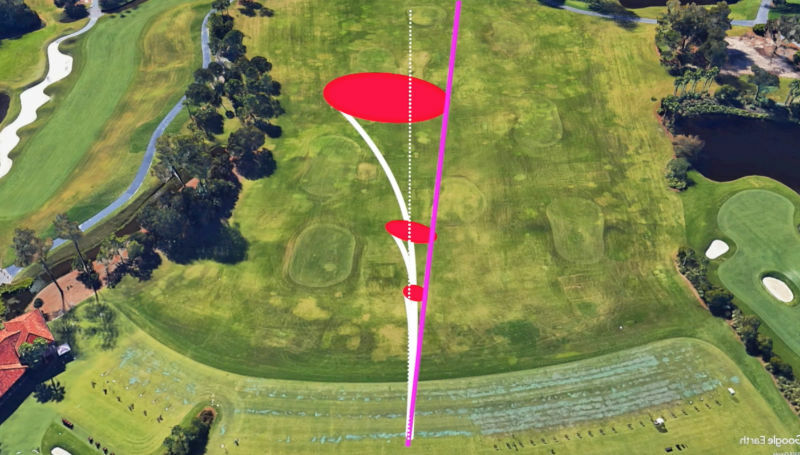 This is why your buddy falls to pieces when he gets on the course and becomes more target aware. Player A hits 100 chip shots from the same spot. The first ship shot, he has to think a little about it. He hits his shot – it doesn’t roll out as he imagined. 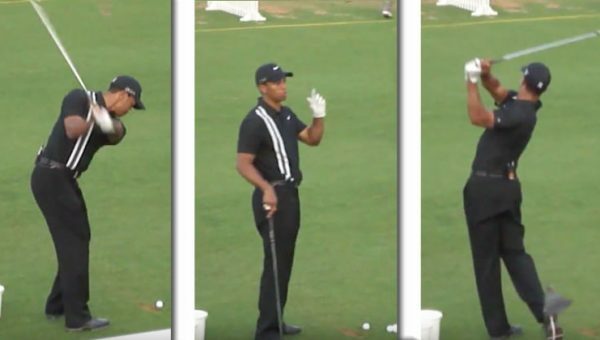 He adjusts for the next shot, gets it right, and then proceeds to hit the other 98 to a very high level of performance. Sure, it’s a nice grouping. But did you learn anything? Or did you just mindlessly perform well? Player A has just worked on EXECUTION for 100 shots, and decision making for one shot. 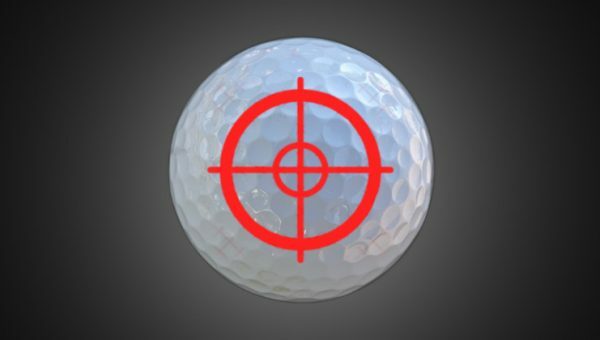 He hits his shot as he imagined, but it doesn’t roll out as much as he visualized. 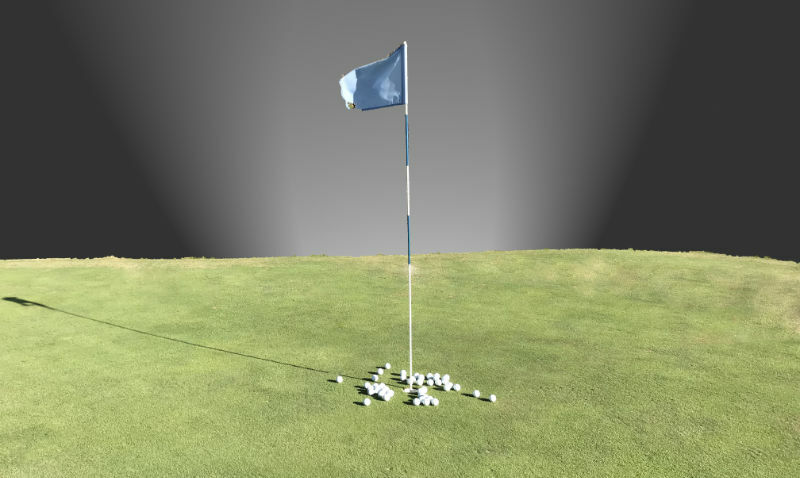 Now, instead of adjusting and hitting more balls from the same spot, player B moves to a different spot and tries a different shot. He repeats this 100 times – moving each time after a single shot. Player B has worked on EXECUTION for 100 shots and DECISION MAKING for 100 shots. Guess who is going to be better. Of course – player B.
Utilizing decision making in your practice is VITAL if you want to build your playing skills. It’s pointless hitting a perfectly executed chip shot if it falls 8ft short because you didn’t judge it well. How do we do this? Easy – SIMULATION TRAINING. In an ideal world, we would prep for a tournament by getting out on the course and actually playing. 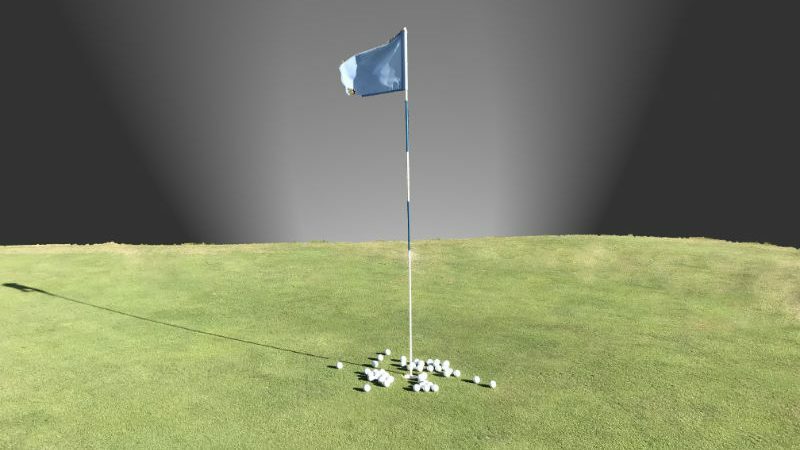 However, there are significant difficulties with that (inability to practice on the course, time constraints, money constraints etc), and simulation training can offer a few advantages over playing (more reps per time period, cost, shorter time needed). Simulation training is, as it sounds, where we try to simulate the game of golf as much as possible. I’ll explain in more detail, giving examples. 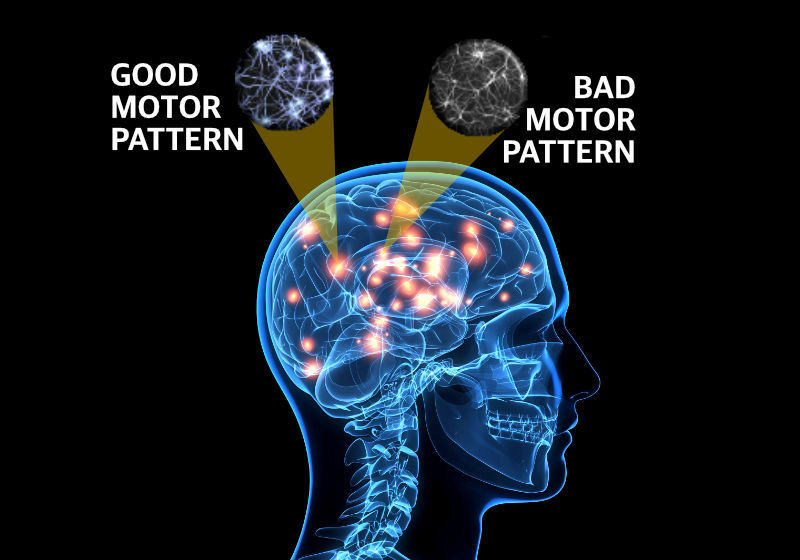 This forces us to have to try and access the movement patterns that we already own (motor access), while at the same time improving our brain-target relationship. If we use our full routines during the practice, we are even more likely to transfer this training to the course. 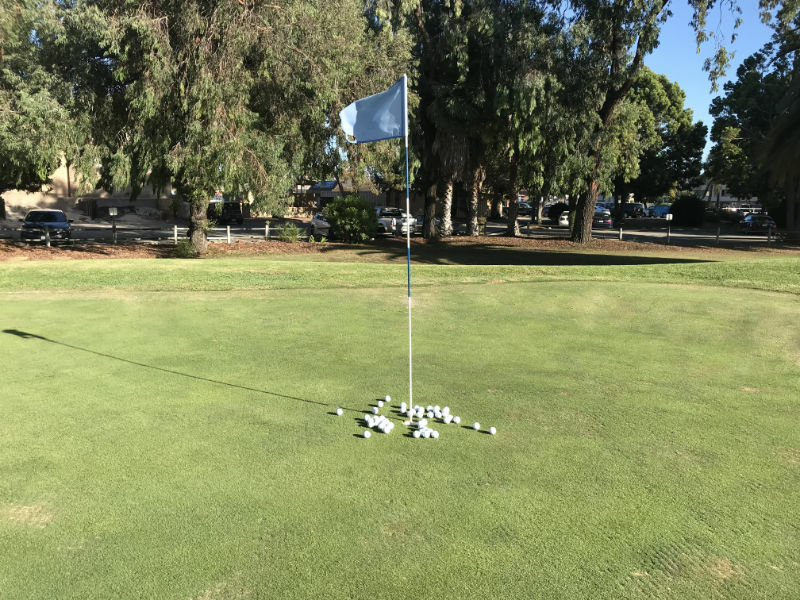 Adding your routine to your practice regimen – you often see good players do their routines on the range, but rarely see high handicappers do it. 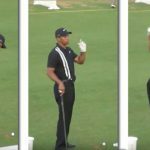 Science backs this up – a recent study showed that utilizing random practice improved the learning of golfers over blocked practicers – even at the elite level. It’s hard to build a strategy if you don’t know your patterns. I see all the time where players are complaining that they “hit it all over the place”, whereas the reality is they have a very definite bias in their patterns. A player with a right (in-to-out) swing path will tend to have the above patterns, with shorter clubs falling more to the right on average, and longer clubs falling to the left on average. Here we see a closer look of the same patterns. The red is the driver pattern, blue is the 7 iron pattern and green is wedge pattern (for same in-to-out path and clubface combination). 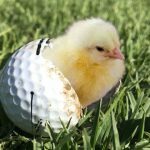 Once you know your biases and patterns, you can hit a lot more greens in regulation and fairways simply by using strategy – picking different aim points on the course to make your patterns have a better fit – offering statistically lower scores. We can get much closer to, and even surpass the level of pressure you can face on the course. In my group coaching classes (see clip below), we are often in situations where the culmination of the whole hour rests on the outcome of one shot from one person. You can see the level of pressure and concentration these average golfers have in their practice sessions. Ask yourself – do you have this element in your practice? There are ways of creating it, even when on your own. I help players identify areas of weakness (by looking at their stats) and develop games with certain rules which challenge their issues. For example, if a player suffers with missing fairways to the right, I will play a points-based game where they are punished disproportionately for that error. lose 3 points for missing right. This deals with a player’s underlying (unconscious) perceptions, and literally changes their unconscious strategies and brain-target relationship. I’ve had incredible success using these games with players. 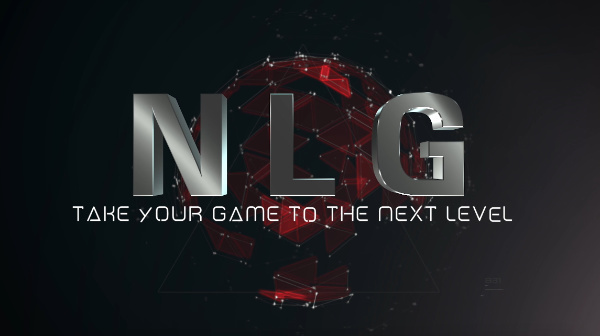 If you want to take your game to the next level, check out my program for golfers – Next Level Golf. It’s like nothing you will find in the industry – you can already see how unique my information is. How to monitor your patterns using my unique recording system. How to utilize random practice (and more practice methods) shown to scientifically improve learning and transference to the course. Not only that, but you will also gain access to information on technique, psychology, strategy, training, skill acquisition, self-coaching and more. No French players in The Ryder Cup.Not a surprise!! Hey Stewart – that’s a funny anecdote. I worked in Austria for 6 years – similar mindset. Obsession with doing things “the right way”, and a belief that there is only one way to skin a cat. Very limiting ultimately. What about using a sim..TrackMan, Skytrak etc. thoughts on practice indoors?